The front lights stayed off, and the house remained shrouded in darkness. My parents weren’t fans of Halloween; thus I was almost 30 when I walked door-to-door for the first time. Trick-or-treating was not allowed in our home; it was not even a possibility, never mind trying to bring it up for discussion. Sure, we were allowed to partake of the candy that my dad smuggled into the house in giant shopping bags, but go out into the darkness on “the day of the devil”— no way! When my daughter was old enough to walk and hold her brightly colored pumpkin, we slipped a Disney princess costume over her head and ventured out. To be honest, it was a traumatic experience for her, and we only made it to three or four houses before we turned around, flipped on our front porch light, and spent the rest of the evening handing out candy. In the hours that followed, I saw something intriguing, something beautiful about Halloween— people were coming to our house. Without an invite, they were exchanging conversation. Without fear, they were knocking on the door. Without knowing what Light resided inside, they walked right up and into our circle of influence. The playing field was leveled— it wasn’t “us” versus “them” as I had grown up to believe about Halloween. Instead of being hidden, light was streaming into the driveway and yard, figuratively and physically, as we intentionally connected with neighbors and strangers alike. We were eager to get to the door every time we heard the muffled voices on the porch and the doorbell ringing. Rather, my toddler was eager. It was entertaining, but it was also educational. As she had done many times prior, and many times since then, my daughter was teaching me what it means to be a good hostess. With every “ding dong” she tore down the hallway, threw open the front door and engaged every person, regardless of age, gender, or costume. She gushed over the various princesses who squealed and talked to every teenager and parent as if she was twelve and not two. She laughed, handed out the candy generously (much to the delight of the kids), and kept on talking, long after they said “thank you” and walked away, sometimes still chatting after they had reached the sidewalk and had continued on to the house next door. This is what hospitality does. It opens the door with a smile and warmly greets people, regardless of their appearance, ethnicity or socio-economic background. It shares generously. It loves deeply and without restraint. It doesn’t judge, doesn’t withhold, doesn’t assume. It is eager. Often when I ask people about why they don’t host, it’s because they are tired. They don’t want to put “another” event on the calendar or commit themselves to something else when they are already so busy. Last week we tackled the idea that life will not ever slow down, and that we have to find pockets of time where we can. This week, I’d like to suggest that we often have built-in opportunities to be hospitable, but we don’t always take them. Case in point: Halloween. To be honest, Halloween is not my favorite holiday. I can’t even watch (or listen) to the previews for thrillers when I’m at the movies. I’m not a fan of the dark because there is little good that comes from it, but that doesn’t mean that I cower from it in fear. Instead, on Halloween, we focus on the fun. Our entire family dresses up, we cook comfort food, and we keep things light and fall-themed, meaning— nothing gory or frightening. We know this is the one day of the year when neighbors won’t think twice about interacting with us, and strangers will come boldly to our door. We don’t play Christian music, we don’t carve the word “Jesus” into our pumpkins, and we don’t give out Jesus-junk candy or tracts. We are the same people that you’ll encounter any other day of the week or in any other place. This week’s challenge is to consider what it means to be a good neighbor, specifically on holidays. For some of you, that might look like turning on the porch light and spending some money on candy for the first time. If you live in a rural area, maybe you can carpool into a neighborhood with other families and trick or treat together, or perhaps you host a dinner and game night at your house. (Chili nights have become a tradition for us on Halloween). 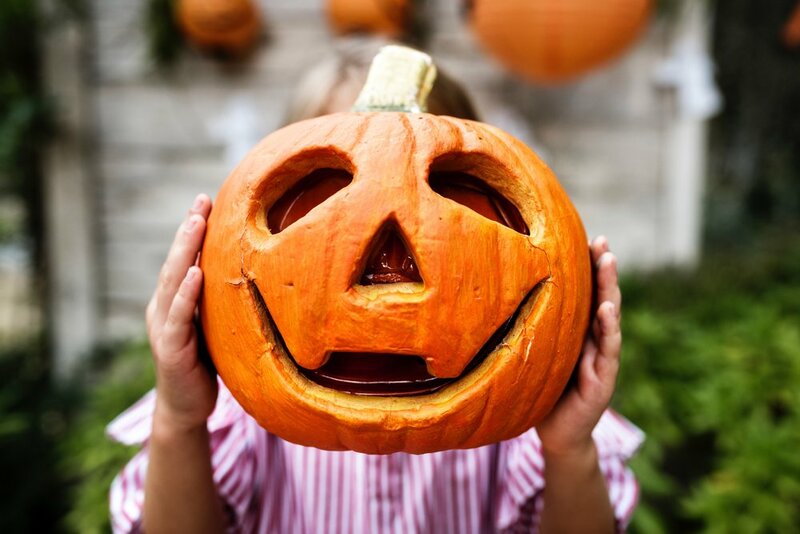 If Halloween is something you already embrace (however you do it), then your challenge is to consider what holidays or events you already celebrate and how you can embrace the spirit of hospitality in your neighborhood. Maybe you get together with a few families for BBQ on Memorial Day or throw together a parade on the 4th. Perhaps it’s hosting a cookie baking afternoon or a swap with other neighbors during the holidays, or planning a way to decorate your street, give back to your community, or love another neighborhood at Christmas. Hospitality that is life-giving to us and our guests requires intention. It requires purpose, but not an elaborate production. It requires energy, but not an extensive menu. It requires forethought, but not at the expense of the relationship. It requires preparations, but not at the cost of our sanity. Opening our doors on holidays may be one of the easiest ways for us to connect with our neighbors and show them what true hospitality looks like.